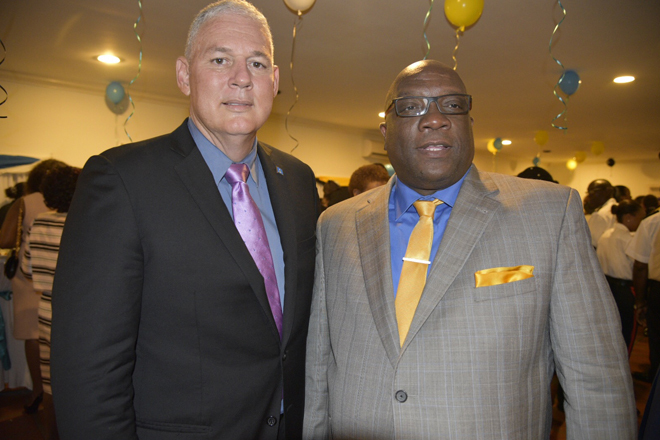 BASSETERRE, St. Kitts, February 22nd, 2017 (Press Unit in the Office of the Prime Minister) – St. Kitts and Nevis’ Prime Minister, Dr. the Honourable Timothy Harris is today, February 22nd, 2017, congratulating the government and people of Saint Lucia in recognition of the country’s 38th year of Independence. Saint Lucia officially became an independent state of the Commonwealth of Nations associated with the United Kingdom on February 22nd, 1979. “I wish on behalf of the Government and People of St. Kitts and Nevis to extend heartfelt congratulations to you and the wonderful people of Saint Lucia, as you celebrate thirty-eight years of nationhood! The theme selected for this year’s celebration “I am Saint Lucia” speaks to the strong sense of identity, introspection, and the responsibility of every Saint Lucian in the quest to advance your national development agenda.